We're Recruiting - part-time Development Manager wanted! 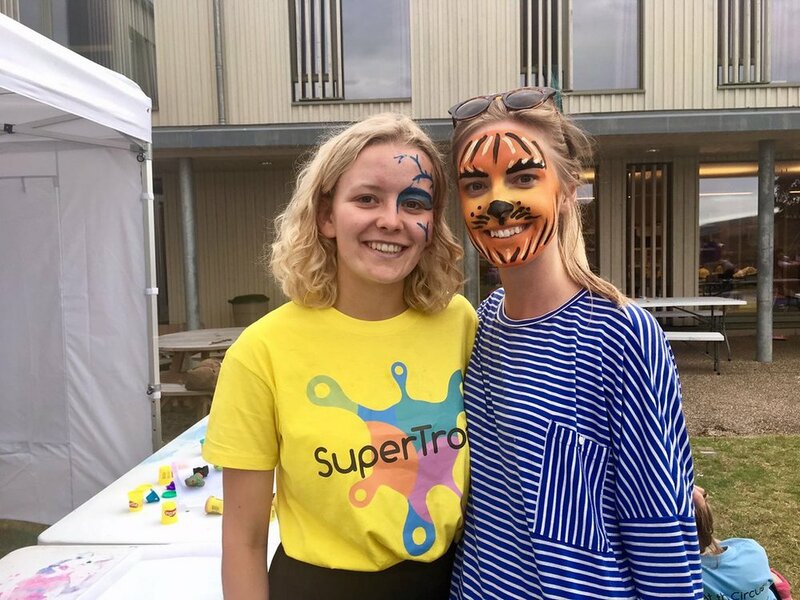 Recently, SuperTroop was absolutely delighted to be awarded funding from a private charitable trust, to allow us to recruit our first paid member of staff! The role is just one day per week, but it is far from trivial. In fact, our Development Manager will be absolutely crucial for the organisation’s future growth and success. We’re looking for someone dedicated, enthusiastic and skillful to meet a range of exciting targets. The successful candidate’s task will be to establish our existing practices into a replicable model, and then start to grow the charity - we want to provide more holidays, to more people. The job will provide a lot of room for creativity, independence and responsibility. And we hope that one day per week will soon grow into a lot more! Full details of the role are in this job description - please read it in detail before applying. We anticipate interviews will be held on Friday 26th April. You will be notified by email whether you have been shortlisted for interview or not. Some of our fav pics from our first ever SuperTroop holiday 2018! It was May when a friend noticed a post about a new charity called SuperTroop. 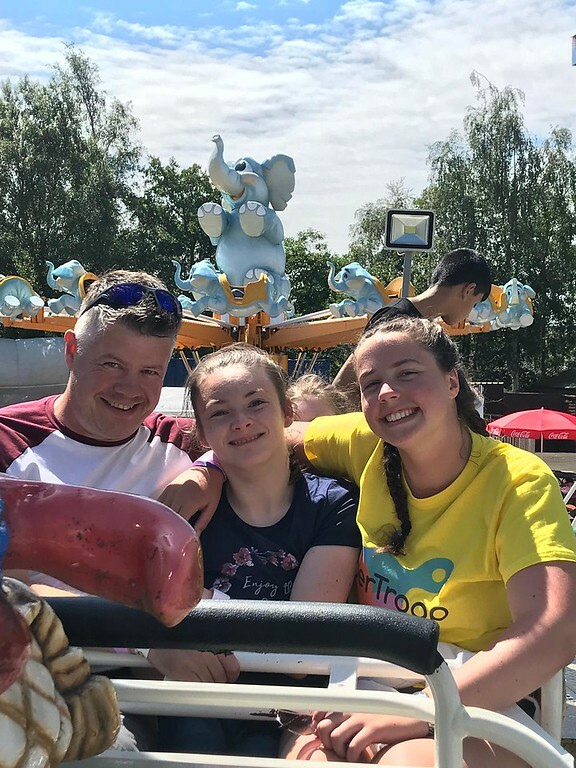 It looked like an amazing organisation but we imagined that Georgie (our 13 year old daughter who has Down’s Syndrome) would be lucky just to be considered for such a wonderful opportunity and never thought that we would get the quick and decisive response that we did. I emailed for some details and filled in an initial application form and, utterly amazingly, we were told that Georgie had a place on the first ever Edinburgh SuperTroop holiday. A year before we wouldn’t have even contemplated her going away for a week by herself (she’d only ever been on one sleepover away from her parents). However, her independence had developed a lot recently and the timing was perfect. We watched some of the Oundle videos and Georgie was fascinated by them and very enthusiastic. 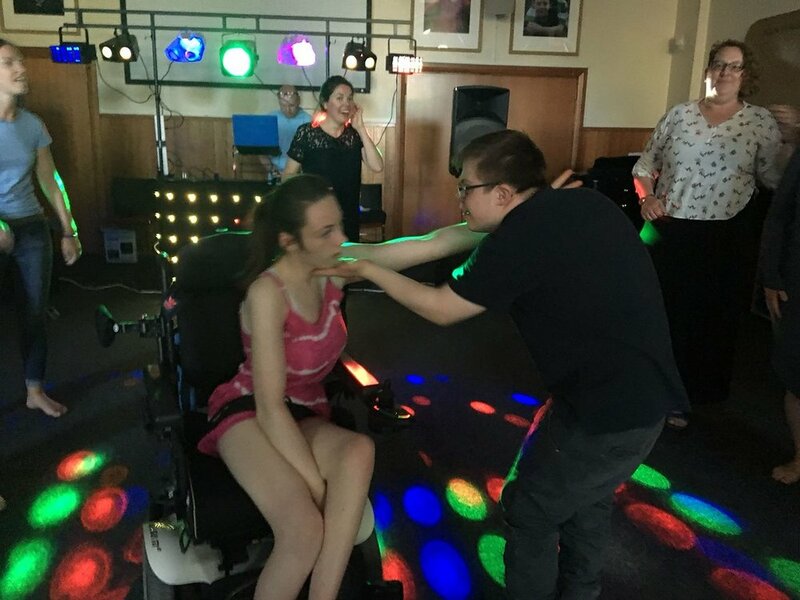 She is sociable and full of energy and fun and we knew the week would be a tremendous boost to her confidence and independence. We were sure she would love making new friends and spending time doing different activities with them. As we celebrated Georgie’s good luck we also realised our own good fortune. As a family we suddenly had a week of freedom to do things without the constraints that we felt when Georgie would have found them difficult. I’d wanted to take Georgie’s big sister, Charlie, to London for years but neither leaving Georgie out or trailing her around a bustling city seemed attractive options. Now we could have a guilt-free trip - and we did, and it was wonderful. I felt unusually organised and quite calm in the run up to the week, bolstered by Sue’s detailed ‘What to Pack’ and ‘Holiday Makers’ Guide’, and distracted by end of term events at school. I did feel a sudden thump of panic as we approached Dalmeny but the festival atmosphere, the smiles of the helpers, the warm welcome and the reassurance of the calm, professional staff, combined with Georgie’s immediate grin and delight, meant that I could suppress my qualms and save the huge sigh (and a few tears) for when I got back in the car, just fifteen minutes later. The first twenty-four hours apart were the hardest and we hung on every text and Facebook photo. However, we were determined to make the most of our precious week and we were busy which helped distract us. When the dreaded phone call, saying that Georgie wasn’t well, came through I was in the bustling foyer of the Globe Theatre, hundreds of miles away. 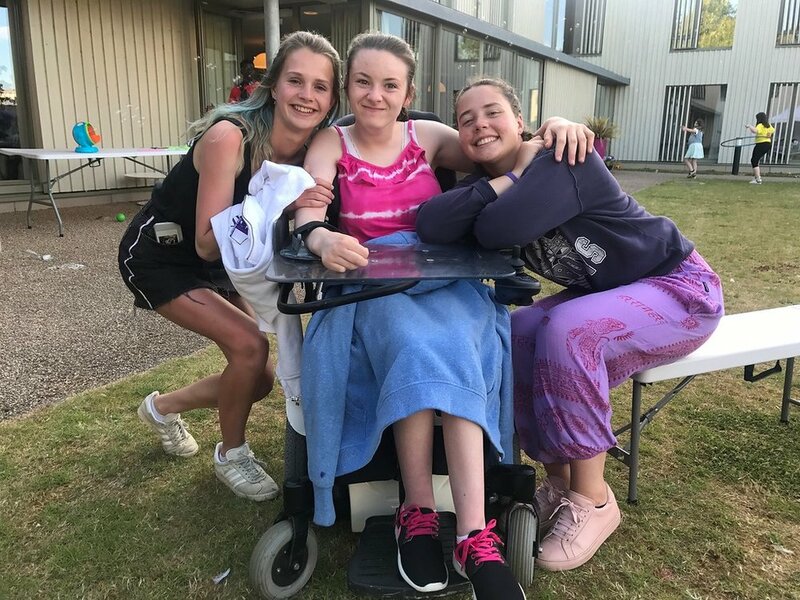 The drop-everything-and-go reflex just wasn’t possible and, seconds into the phone call, the reassuring tones of the nurse meant that I knew Georgie was being wonderfully looked after. She was surrounded by attentive and caring friends and, no doubt, lapping up the attention. A day later her sickness had passed, and she was back in party mode and, amazingly, this had all happened without us being there. The fact that the team coped so well and that a blip in Georgie’s health was dealt with so smoothly meant a huge amount. We really don’t know where to start thanking Sue and SuperTroop. Georgie had such a fantastic week. It did (and still does) feel like a really life-changing experience. Getting her prepared for a week away for us meant certain changes (which were all good} and a move to more independence. We all now know what being apart feels like and that it is possible - and a positive thing for all of us. The photos that came through on Facebook and Instagram were full of Georgie’s energy and smiles and were both reassuring and joyous to see. We’re really looking forward to the video coming out and that will give another lease of life to her memories and her enthusiasm to communicate her adventures. After coming home, we saw some sadness at bedtime when she was missing her new friends, but in general she was buoyed with such new confidence and independence. Sue has done a really wonderful thing setting up this charity. As teachers we can appreciate what an eye-opening and valuable experience this was for the student helpers. They all seemed so full of enthusiasm, care and commitment: it was fantastic to see! Whatever training they’d been given must been pitched just right. We don’t underestimate the enormous efforts that went into making the week such a fantastic success and it’s impossible to adequately express our thanks to the helpers and group-leaders, the team and the fund-raisers. The possibility that this might happen again next year, giving Georgie another fantastic week, is incredible. 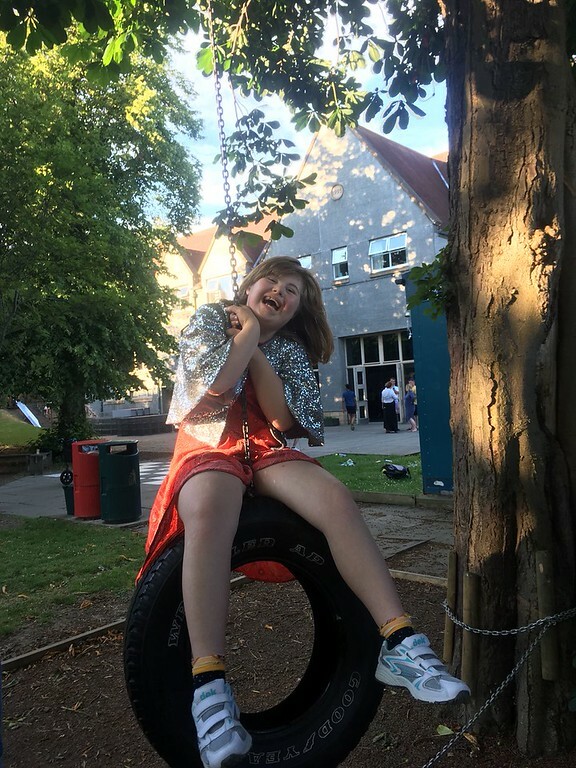 For her to have the chance to renew friendships and delight in some familiar experiences (and some new ones) will build her confidence and communication skills yet further…and with bucketloads of fun and joy thrown in! We think SuperTroop seems to be that rare experience where everyone wins.